"I kept asking ... 'Am I a criminal, am I a prisoner?' I was locked up in a very small space and was too scared to sleep. I'm still scared of people in uniform. The trauma ... will stay with me for the rest of my life." In Europe, thousands of migrants like Alieu are behind bars despite having committed no crime. This is because while seeking asylum is a universal human right protected by countless laws, in practice, migrants and even children, can be locked up for many months. Prior to a Dublin transfer if there is a serious risk of absconding. The introduction of this law in 2013 meant that states could not apply a blanket policy of detaining asylum seekers on arrival. At the time, Hungary complied, but this March, it reintroduced the practice of detention in so-called "transit zones" — container camps on the Serbian border where migrants are held while their asylum applications are processed. 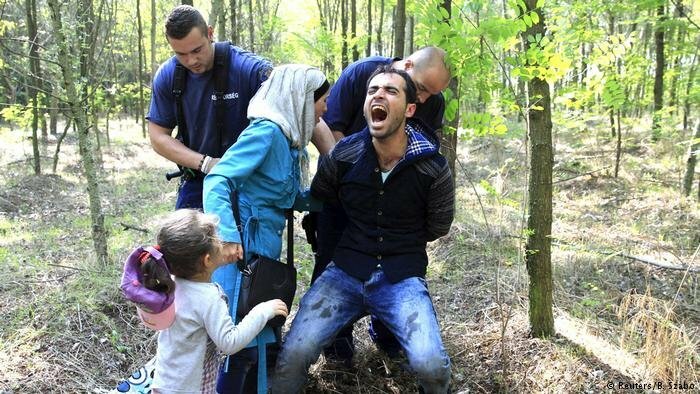 Hungary is not alone among EU countries in its approach to detaining migrants who arrive irregularly. Twelve member states detain significant numbers of asylum seekers entering their territory, either at the border or in airport transit zones, according to Marie Walter-Franke, a Jacques Delors Institute Policy Fellow and a specialist on EU migration and asylum policy. The 12 countries are: Belgium, Bulgaria, Estonia, Finland, Greece, Hungary, Luxembourg, Malta, The Netherlands, Slovenia, Spain and the UK. Since the 2013 Directive, however, the most widespread use of detention has been of asylum seekers on the way out — so-called Dublin transfers — and the return of failed applicants. Twenty-one countries use detention to enforce transfers of asylum seekers to their first port of arrival in the EU under the Dublin regulations, and all use detention to enforce returns. How long are asylum seekers detained? Asylum seekers are to be detained for as short a time as possible, according to European law. In practice, countries apply their own time limits, the longest being 18 months. The UK is the only EU state to have no limit on the length of immigration detention. 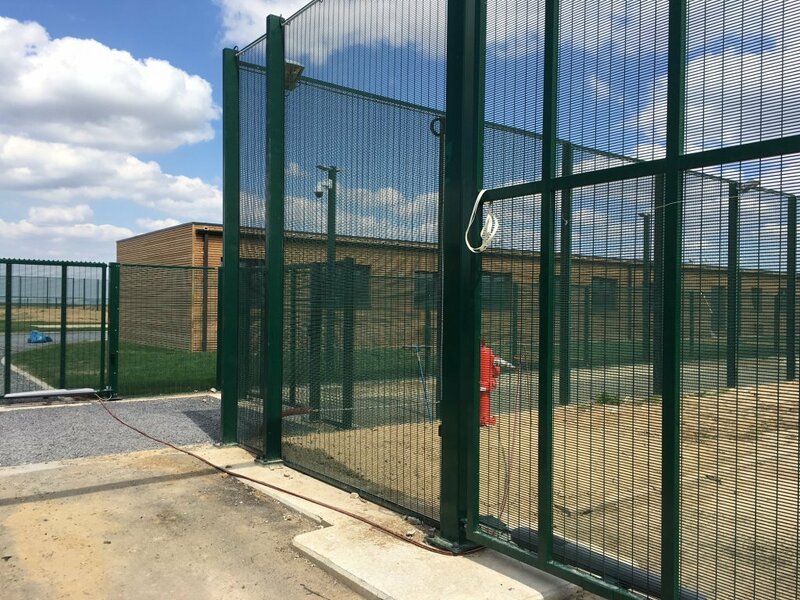 According to AVID, a charity that supports visits to asylum seekers in detention, the longest recorded length of detention in the UK is 1,845 days, which is more than five years. The deprivation of liberty of an asylum-seeking, refugee, stateless or migrant child is prohibited. There are four countries in the EU where children are never detained: Croatia, Malta, Ireland and Slovakia. In four others, children are frequently detained: France, Bulgaria, Greece and Hungary. In the first four months of 2018, 77 children were placed in immigration detention in metropolitan France. In the UK, 42 children were placed in detention 2017, though the government says it ended routine child detention in 2010. A few countries, including the Netherlands and Sweden, forbid the detention of asylum-seeker children, whether in families or unaccompanied. 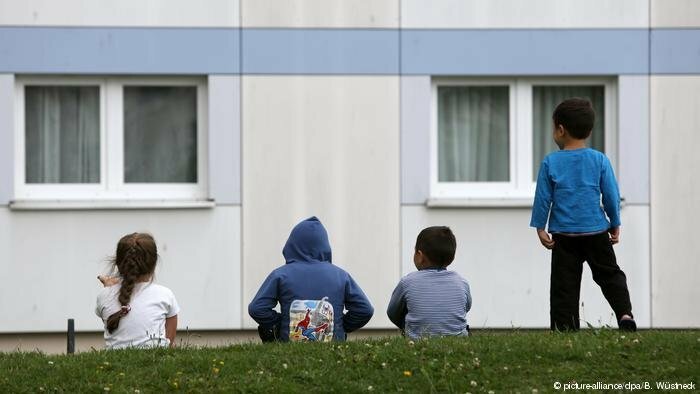 In Germany, detention of accompanied and unaccompanied children is rare. Austria does not detain children under the age of 14. In some countries such as Bulgaria and Hungary, despite the detention of unaccompanied children being illegal, in practice it continues to happen. In Greece, both unaccompanied children and families with children are detained. The detention of other vulnerable migrants, such as those who are sick, or survivors of torture, is prohibited. But again, it does happen in practice. A recent survey of detainees in seven deportation centers in the UK found that more than half were "at risk". "The detention of asylum seekers or other irregular migrants must not take place in facilities such as police stations, remand institutions, prisons and other such facilities since these are designed for those within the realm of the criminal justice system." In reality, however, asylum seekers — both children and adults — are often held in prisons, and even psychiatric hospitals. Sweden, Switzerland, Serbia, the UK and Ireland detain people in prisons. Most European countries detain asylum seekers in dedicated detention and removal centers. The largest, Harmondsworth in London, holds up to 630 people. Greece has the biggest overall capacity to detain asylum seekers with over 6,600 administrative detention places. The UK has nearly 2,300 and Spain has around 1,590 places. Greece has been criticized for using police stations for immigration detention. 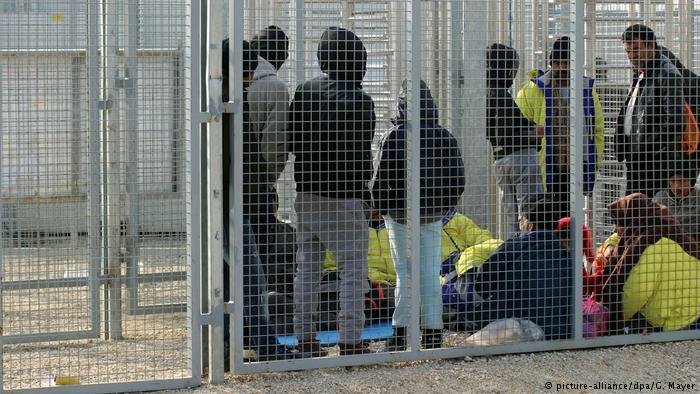 Last year, the Greek Council for Refugees reported 14 cases of migrants being detained in police stations for periods of between 20 days and six months, in substandard conditions. In September 2018, the European Commission president, Jean-Claude Juncker, proposed another revision of the EU Directive on detention, aimed at speeding up the return of irregular migrants. The proposal includes more immigration detention to "support enforcement of return." The measures were proposed despite a previous commitment to pursuing alternatives to detention, and in the face of critics' concerns that detention causes harm, is expensive to implement and does not achieve its objectives.